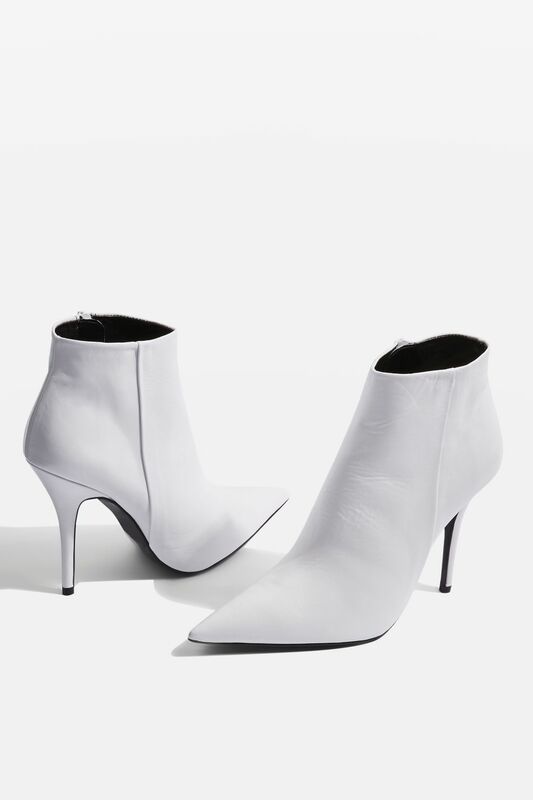 The Fashion Lift: White boots...who knew?! 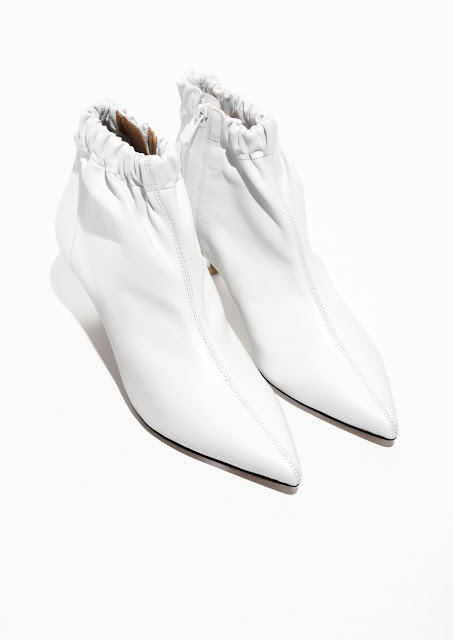 Style Theory: Who knew that white boots would be such a great addition to a Spring wardrobe?! 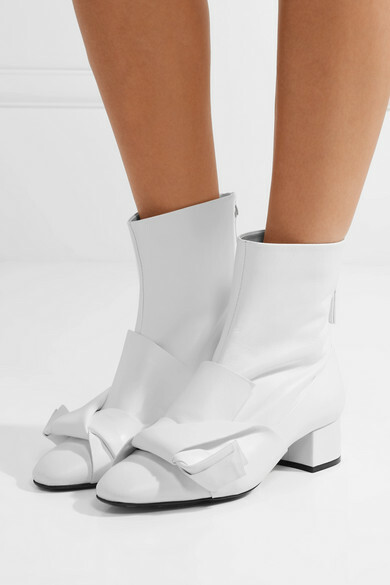 I am a little late to the white boot party, I was not convinced at first but now I have seen them styled up in cool ways above I now need a pair to add to my wardrobe to add a twist to my wardrobe..
Best dressed down, keep your outfit paired back, not too fussy.. The best white boots on the high street..
Love the fact these are cute quite low on the leg so will be great with dresses and skirts. The point make and stiletto heels makes them look super elegant. The perfect boots to wear with ankle length, pale blue jeans and a grey oversize jumper. 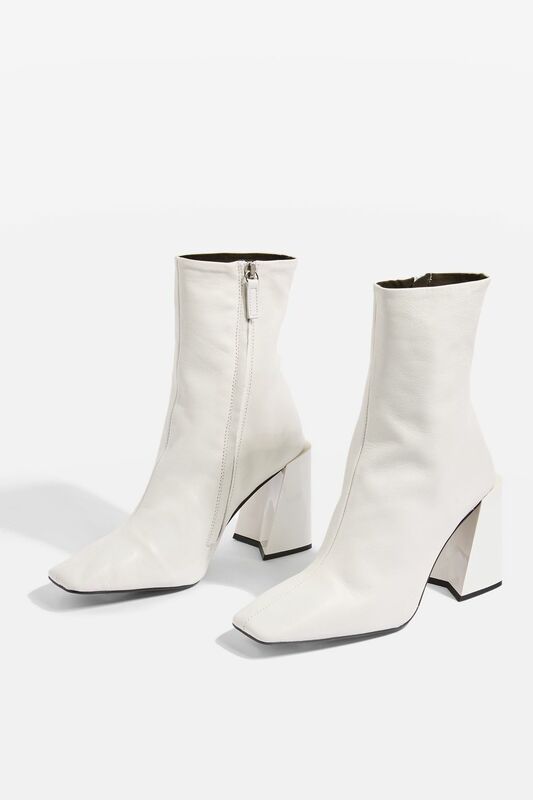 These are my favourite white boots and the ones that started me on the white boot hunt. They are low so easy to walk it and the elasticated top gives them a cool twist. These would look fab with either dresses or jeans. 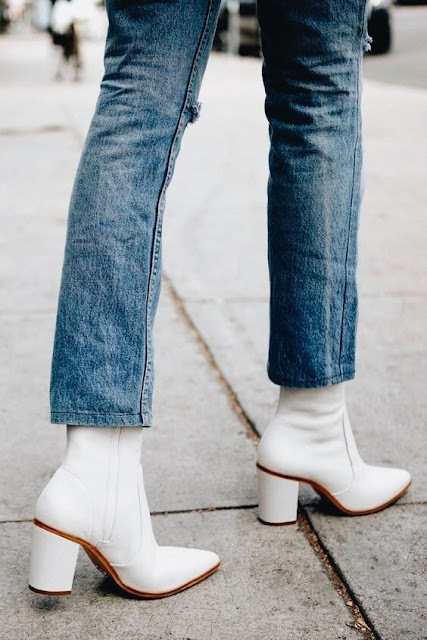 These are definitely going out boots, again, I would keep the rest of the outfit pretty dressed down, a slouchy knit and distressed pair of ankle length jeans would look good. 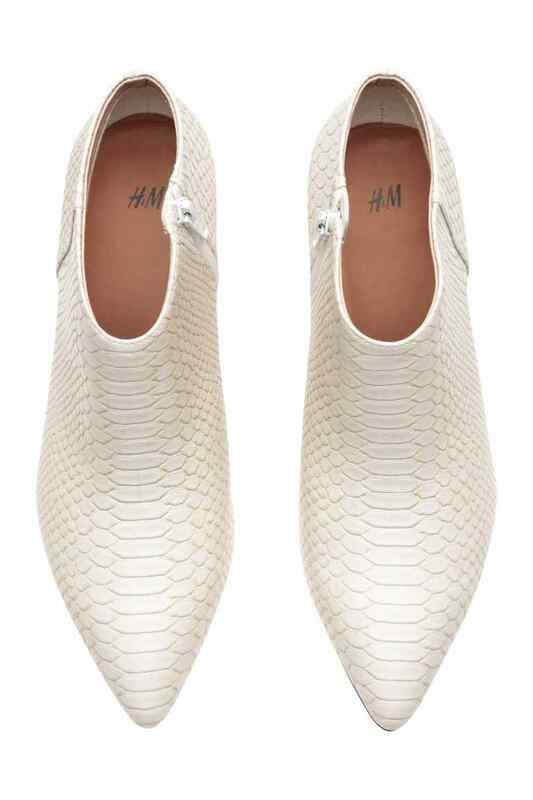 These are great non-expensive option to add to you Spring wardrobe, they are low on the ankle so great with dresses and the faux snakeskin makes them less gleaming white, a more subtle take on the trend. 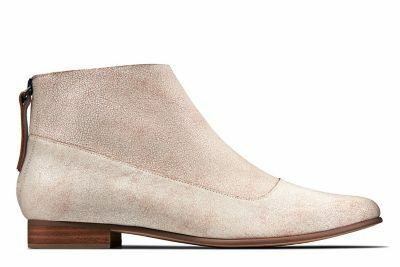 The comfy option, soft leather, great with ankle length skinny jeans and sweater. Love these reduced No.21 white boots, a statement but a cool one! 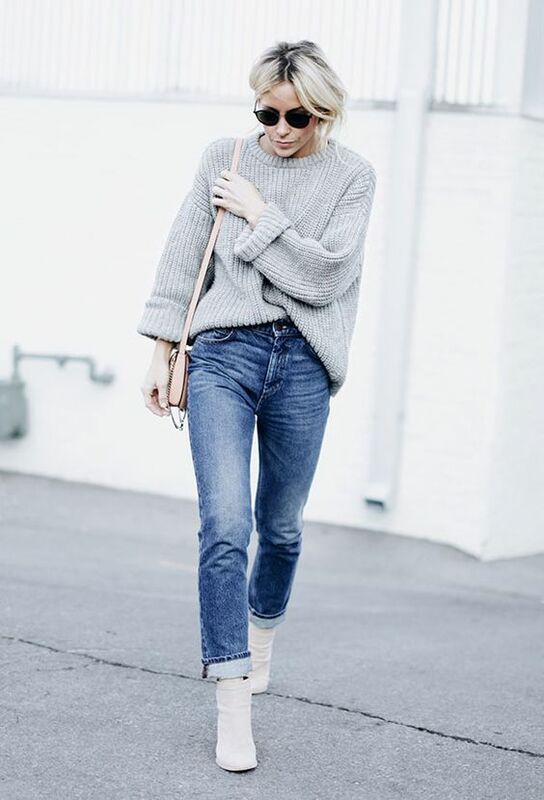 A small round up of the best on the high street, they look cool and edgy, they are not a trend that will be around for long but sometimes it is nice to mix it up a bit in your wardrobe, add something new, a little different. These are just gorgeous! I especially love the boot with the platform heel. Great read!! Buy China Products in Dubai Really informative blog. Really Cool. When you discover your specialty,Heidi Klum Anti Aging Products you will separate yourself from the challenge and would now be able to provide food the majority of your showcasing endeavors to a particular target group of onlookers. Some Much Needed Inspiration from Paris..